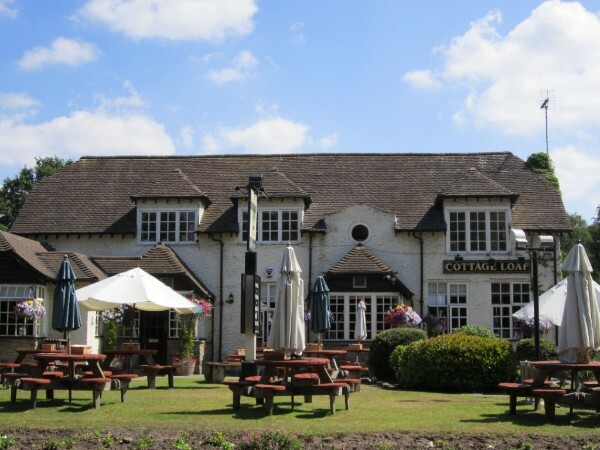 We've had 2 evening meets at The Cottage Loaf so far, and it looks like it's definitely going to become a regular occurrance with some very friendly faces, lots of knowledge and plans to drive out being formed! Come along to the next on Thursday 13th September! Here is Jan's write up of August's get together..
Well Wirral Meet number 2 went ahead! The Blue and Black cars were joined by a Silverstone that belonged to Trev who brought his wife Lyn. The weather meant that tops were down, and not only was Trev’s down but he proudly showed off his tonneau cover! I’ve got one of those but I need someone who can refurbish interiors locally. Anyone know of someone? Back to the meet. Trev and Lyn have family who live ‘locally’ on Wirral they drove from Preston to do some catching up. Trev has owned his car for 15 years, , me 9 years, and Steve just a baby, less than one year. Steve, Ann and I had some food, which was very good I might add, and a soft drink due to the constraints of drinking alcohol and driving. We discussed the Megameet and managed to persuade Steve to come. Steve and I discussed driving the Evo Triangle, never heard of it until Joao mentioned it so we drove it on the following Sunday. We found out that both of us had driven the roads before, still a cracking drive though! We said our farewells about 9.30 and off we all drove waving goodbye and a promise to meet there again in September except for Trev and Lyn who won’t be here, shame, but it is just a couple of weeks before the Megameet. Thanks for reading, and if you are in the area in September (13th), please pop along it would be lovely to see you!